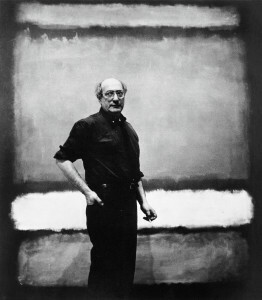 Born Marcus Rothkovitch in Russia, Rothko immigrated to the U.S. with his family in 1913. He began painting in 1925, at first in a realistic style, but gradually developed a new, intensely introspective nonobjective style, which evolved into color-field painting. Rothko’s mature canvases juxtapose large areas of soft, almost contourless colors that appear to hover and gently vibrate in space above the painting. The effect is serene, contemplative, and quietly spiritual, a marked contrast to the prevailing freneticism of Abstract Expressionism.